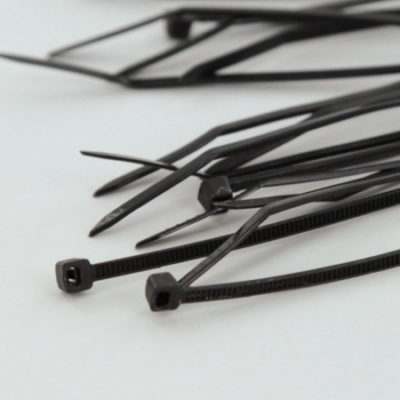 You may have decided that an aspect of your house needs illumination – this may be the living room, the hallway, maybe even a bedroom – but don’t want to place unsightly holes in your wall due to the use of nails. 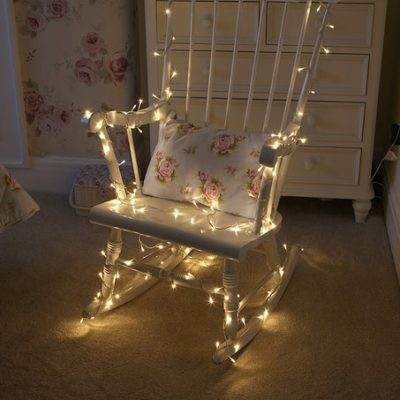 Luckily there are a number of alternative ways to hang or display fairy lights. Probably the default option for many people, drawing pins (we find that brass drawing pins are often best) can be pushed between the twisted wires that often make up fairy lights, as indicated in the image below. This will leave a small hole in your designated surface, but nothing compared to the one that would be created by a nail. A flat bottom bronze pin would be better, but any pin can be pushed between the intertwined wires that make up most fairy lights. If you wish to leave no marks at all on your walls, then using blu-tack is one alternative. Either the wire or the back of the LED itself would need to be pressed into the blu-tack at various intervals. 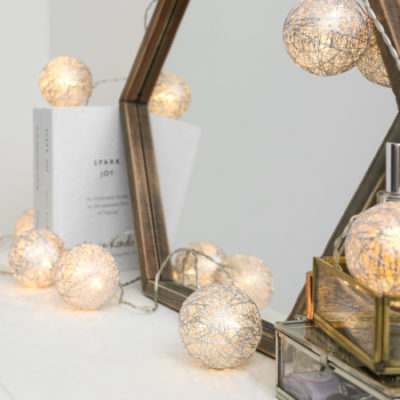 This will work for small sets of fairy lights, maybe 5m or less but may not work as well for heavier sets of lights, unless you’re planning on using a large quantity of blu-tack! 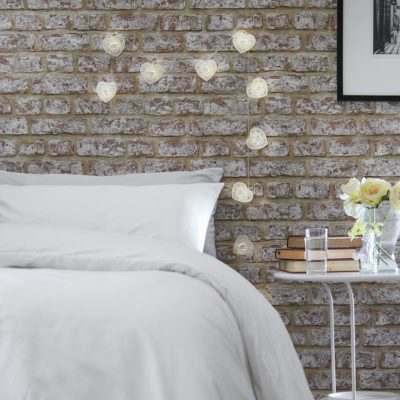 For smaller sets of lights, blu-tack will be ideal to make sure they hang easily. 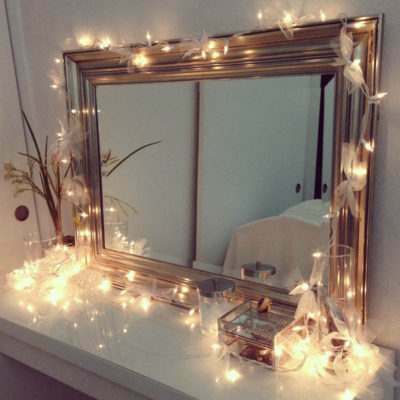 Due to the flexible nature of fairy lights, often you won’t require any extra accessories to hold them in place, simply a bit of imagination! Have a go at wrapping them around pre-made ‘lighting’ areas that you may not have thought of; areas such as shelves, desks, headboards and picture frames. 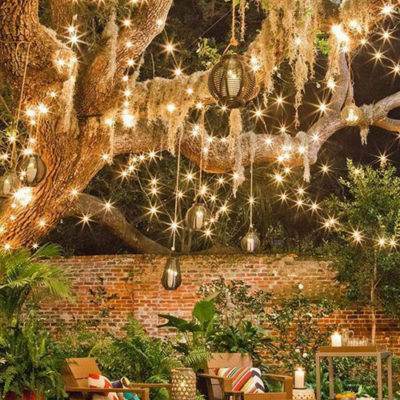 You’d be amazed at just how many areas of your home are a potential home for fairy lights. For hanging and draping around household objects, decorative lights are perfect for creating a warm atmosphere. Often used with Christmas decorations when spread over windows, wire suckers aren’t just limited to the Christmas period. Fixing lights over windows can look fantastic in children’s bedrooms, and provide a really warm and relaxing feel at night. The sucker is pressed onto the window and features a hook or other mechanism through which a wire can be gripped. For any lights that are intended to be run on a window, wire suckers are perfect for keeping them firmly in place. 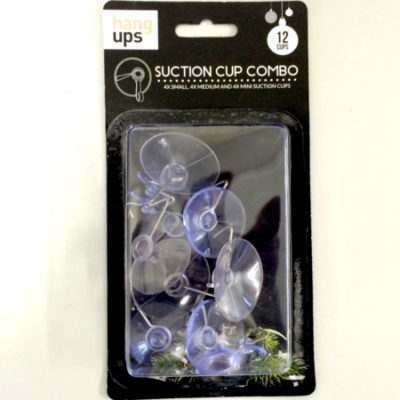 These hooks can simply be stuck to a surface using the attached sticky pad, before hanging your lights. 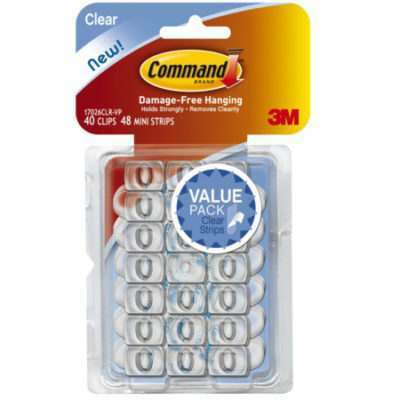 They are designed so that no sticky residue or marking is left on your surfaces, and there are various types according to your specific requirements. Most will usually advise waiting at least an hour after sticking before hanging the lights. Sticky hooks are ideal for hanging both short and longer sets (over 5m) of lights.